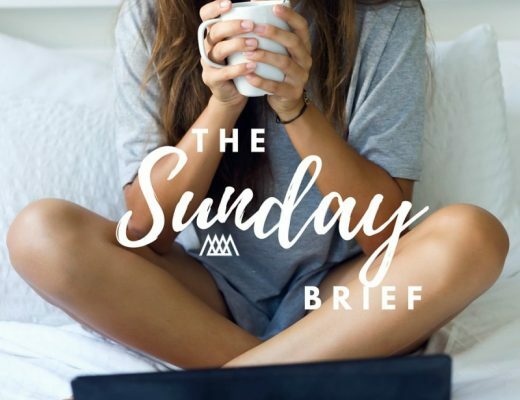 If there’s one thing I’ve noticed with the impending fall season (still wrapping my head around that…), it’s all the ahhh-mazing accessories that are out & trending right now. There are so many new structured bags, drool-worthy jewelry & statement shoes (can we talk about allllll of the booties?!) 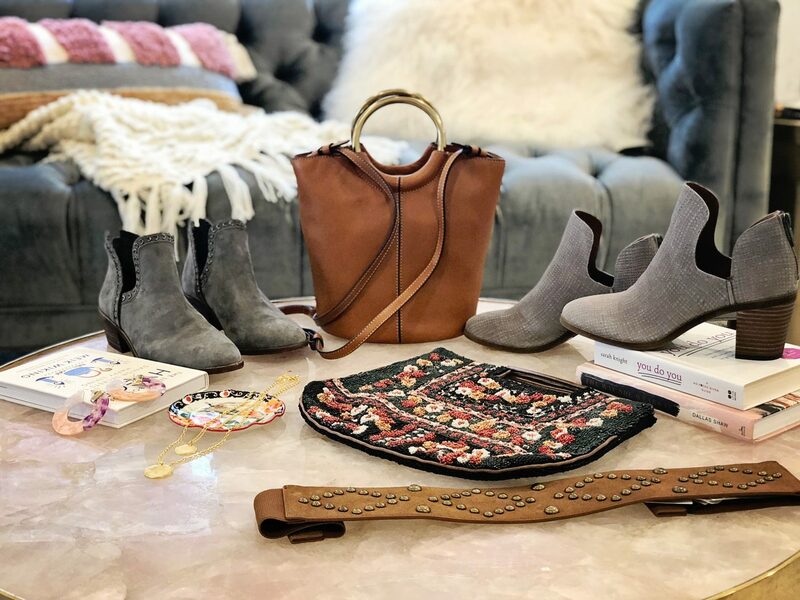 that I’m having a hard time choosing which one will be my next purchase…I’ve rounded up some of my favorite fall accessories below! Bucket Bags // Meet the updated, structured version of your current crossbody. This is the perfect bag to take with you when traveling to the city, shopping, going to brunch…pretty much anywhere!! 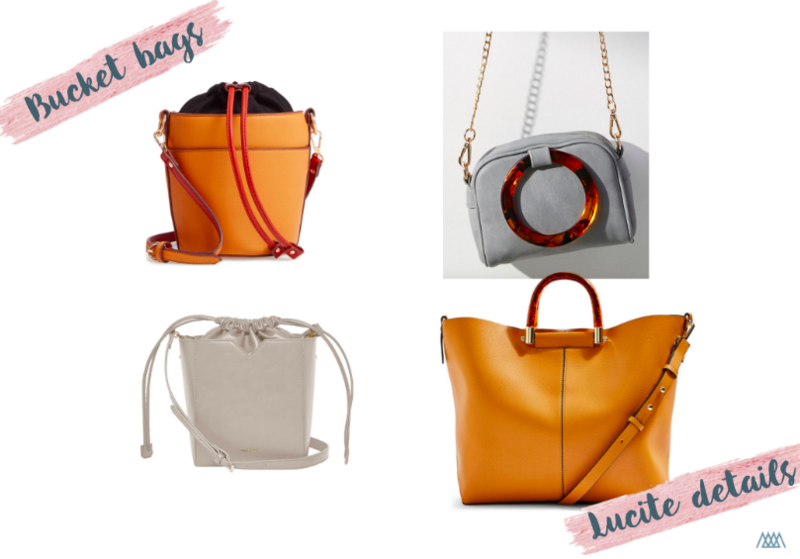 Lucite Handles // I have been seeing lucite handles on bags everywhere!! It gives an extra little somethin’ to an otherwise simple bag. Trust me, you will be seeing this trend all over the place (and I included options that are under $100!). 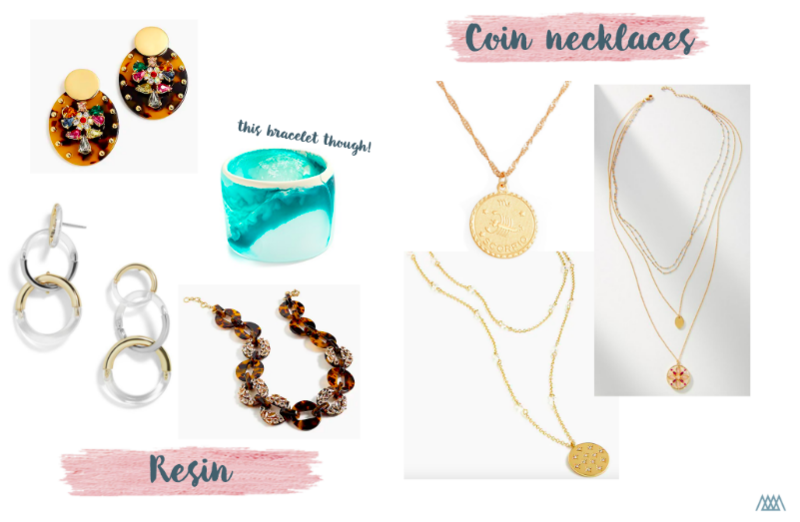 Jewelry Trends // Resin jewelry is DEFINITELY a trend I can get behind. It makes for a different but cool look whether you’re wearing jeans & a tee or dressed up for a night out. And who knew coin necklaces would be so big this year?! From simple pendants to astrological signs, these are super versatile & casual enough to wear everyday. 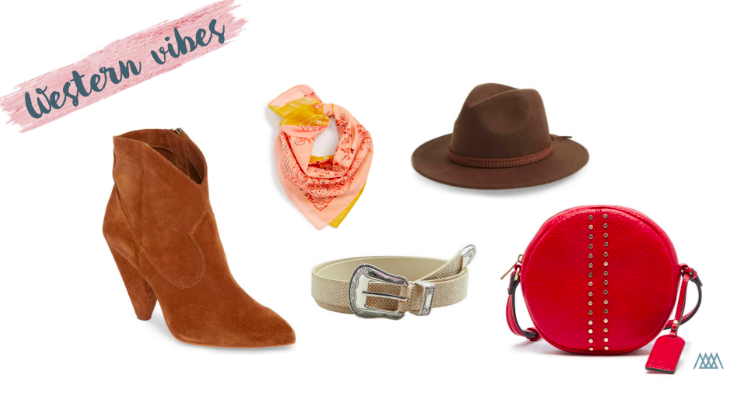 Western Vibes // Structured rancher hats, perforated bags, detailed buckles — I am *loving* this trend!!! You can certainly wear all of these things together, but to avoid looking like Clint Eastwood soften it up with a floral dress or feminine blouse. All of these pieces are all super versatile to wear on their own with a variety of outfits. 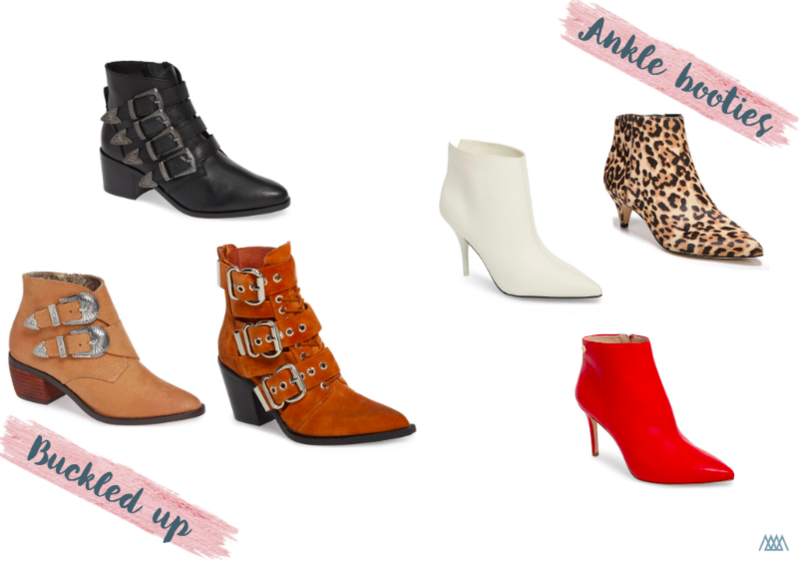 Ankle Booties // If there’s just one thing you want to invest in this fall, it’s definitely a pair of ankle booties (bonus points if they’re white or leopard print!). Pan over to classic ankle booties’ slightly edgier sister (that dips her toe into the Western vibe) with buckles. This is a trend you can wear with jeans & a tee (or printed blouse), or put an edgy spin on your favorite floral dress.